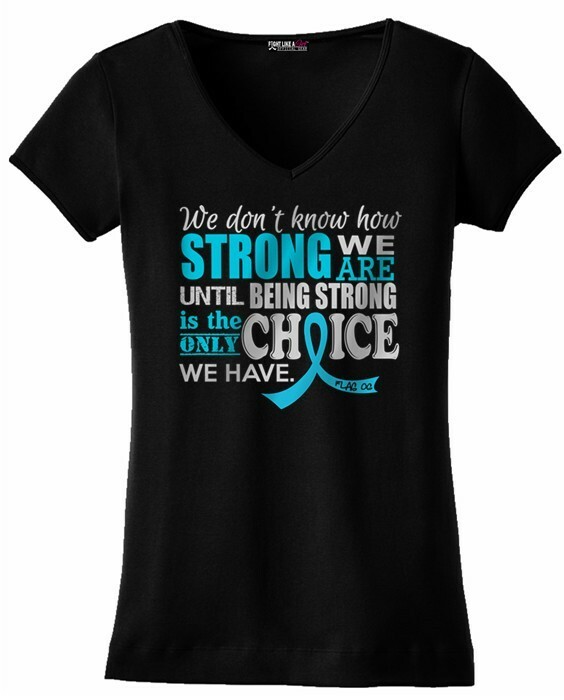 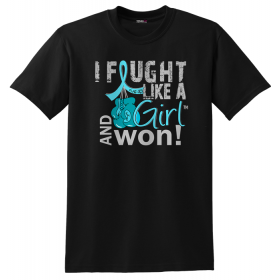 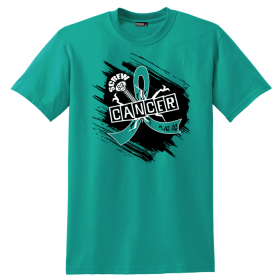 Wear your inspiration with our "We Don't Know How Strong We Are Until Being Strong Is the Only Choice We Have" ladies' v-neck t-shirt with teal ribbon to support and bring awareness to ovarian cancer, PCOS, PKD, interstitial cystitis, myasthenia gravis, PTSD, scleroderma, Tourette's syndrome, gynecologic cancer, peritoneal cancer, and Batten disease. 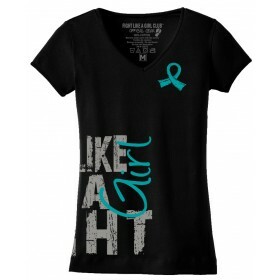 Wear a reminder of your strength as you share the important message of awareness with our inspirational We Don't Know How Strong We Are Until Being Strong is The Only Choice We Have ladies' v-neck t-shirt with teal ribbon for ovarian cancer, PCOS, PKD, interstitial cystitis, myasthenia gravis, PTSD, scleroderma, Tourette's syndrome, gynecologic cancer, peritoneal cancer, Batten disease, or any other teal ribbon cause. 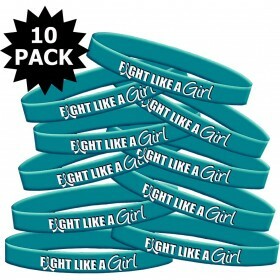 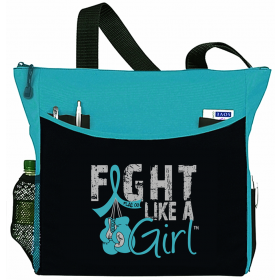 Perfect gift idea for the warrior, survivor, patient, or supporter on your list.